How Long Does Weed Stay in Your System? Never Fail Another Test. Usually, when you're trying to figure this out, it's already too late. Generally, you’re being tested for marijuana, it’s by your employer. Some jobs run routine tests and others just one test before you're hired—these you can plan around. But you can also come across situations where you'll be randomly tested such as an injury at work or by the police. In general, if you’re a casual smoker you can expect keep marijuana in your system for around 30 days. As you’ll soon find out, though, it goes way beyond that. With varying factors and a wide array of tests, you can't just depend on the old 30 days, and you're good. If that sounds like fun to you, then let’s get to it! First, let's take a look at why cannabis even stays in your body. And why does marijuana remains in our system so much longer than, say, alcohol? Well, alcohol bonds extremely well with water. This bonding allows your gastrointestinal tract to absorb and process alcohol very quickly (it can be out of your system in 24 hrs). Tetrahydrocannabinol (THC), which is the main psychoactive ingredient in cannabis, on the other hand, isn't as simple. Now, while THC does rapidly metabolize in your body, the metabolites it leaves behind don't. This metabolic by-product is known as THC-COOH isn't very water soluble, and instead will accumulate in your fatty tissue where it's then slowly released. while THC does rapidly metabolize in your body, the metabolites it leaves behind don't. If your drug test tests for THC you can pass it in just a few days. So that’s why most instead look for THC-COOH. But, that's not the only place THC-COOH travels. It also makes its way to your sweat glands and is pushed into your hair follicles. Here, even if you haven't consumed cannabis in the past three months, you'll still show up positive for marijuana. While drug test calculators sound like a good idea, the variables are just too many too account for. Why can one person show up negative after just a couple of days while others it takes months? The frequency in which you smoke is by far the most significant factor in the amount of time it will stay in your system. We'll dig into it more later, but if you consume cannabis every day, the rate at which your body metabolizes THC-COOH will be dramatically outpaced by your THC intake. This causes your body to absorb and hold on too more THC-COOH for longer. How much overall have you smoked? How much cannabis you consume will greatly effects the level of THC your body intakes. If you’re someone that loves to exercise, you’ll love this. When you work out, you’re speeding up the detox process by burning the fat where THC-COOH is stored. If your metabolism is naturally high, you might process cannabinoids quickly. What they are testing for is a huge factor also. You can have tests that only will look for THC, and if you haven't smoked in a few days, you could pass. 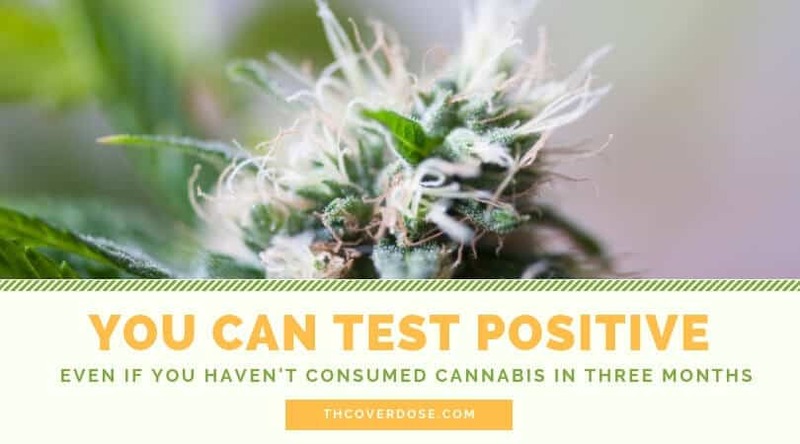 But, if you're tested for THC-COOH you'll fail. And then there’s the testing method. The method used will have a huge say. A paper published in the Journal of Analytical Toxicology back in 2001 showed us something pretty cool. In their research they checked peoples saliva. In the study, people tested positive for THC-COOH immediately after smoking, while the urine tests took on average 4 hours before a positive test. But the urine tests showed THC-COOH present for a full 24 hours longer than the saliva! As you can see, though, a lot of these are in our control. If you know when you're going to be drug tested, you can control enough of these factors to ensure you pass your test—given there's enough time. 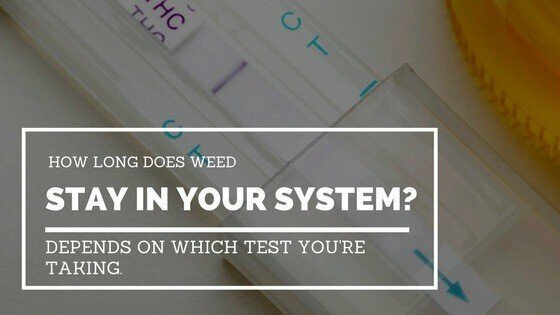 THC vs. THC-COOH: How Do Drug Tests Work? If you have to be drug tested, more than likely it will be a urine test. The reason they’re preferred by employers is they are the only test recommended by the Substance Abuse and Mental Health Services Administration. These guys are the ones that set the standards for government employee drug testing. So, while were going to dive into every type of test, most of this article will be tackling urine tests. Urine tests will be testing for THC-COOH. As you consume cannabis, the THC enters your bloodstream and travels up to your brain, then throughout your body bonding to your cannabinoid receptors. After the THC is processed by your body, it leaves THC-COOH behind. The THC-COOH finds refuge in our fatty tissue and takes its sweet time slowly being released. Test vary in sensitivity and will operate with a THC-COOH concentration cut off rate. Usually, this cutoff is 50 ng/mL but can range from 15-100 ng/mL. The cutoff concentration is going to affect the outcome greatly. Once you turn in your sample, it's going to be sent off to the lab where the sample will be tested with a high concentration cutoff, for a quick positive or negative result. And, if it shows positive, it will undergo a more sensitive test for confirmation with a dramatically smaller concentration cutoff. How Long is THC Detectable in Urine? Because urine tests have long detection windows and are routinely the cheapest test, they're not going away anytime soon. We'll take a look at the studies that have been done, but first, let's look at some of the factors that can influence your test. Hydration and fluid intake is key. 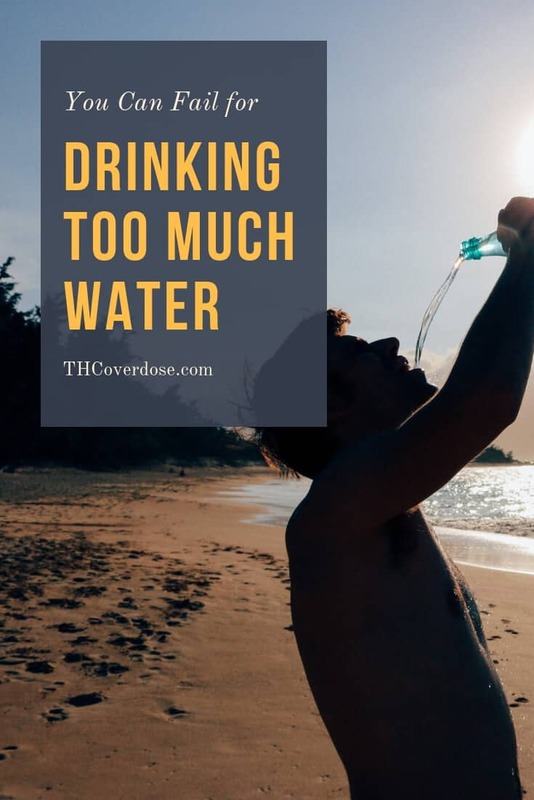 The more water you drink, the more THC you can flush out of your system. But, if you drink too much water right before a test, you can still fail for being too diluted. Your urine’s pH has a say too. The more acidic your urine is, the shorter the amount of time THC can be detected. Studies have shown that you can stay positive for anywhere from 2-90+ days. These studies ranged from testing people who consumed cannabis once to those who’re heavy smokers. There is a big problem with most of these studies, though. Most of them were done in the 1970-1990’s where the quality of cannabis was nowhere near what it is now. Were talking the difference between cannabis with a THC level at a few percentage points to the 25+% cannabis we consume now. Even with such high levels of THC, though, the most common suggestion is to give yourself 21-30 (about a month) days before you can pass a test. In fact, the National Drug Court Institute (NDCI) conducted a meta-analysis (a study of studies) and determines that it's unlikely a regular user would be positive after 21 days. They looked at studies from 1982-1999 mainly with self-reported use and small participant pools. The largest study having 86 subjects, and the smallest with but a single patient. The maximum time cannabis can be detected ranged from 25-67 days. Now, there have been some extreme cases pop up where self-reported chronic users have been positive for 93 and 95 days. Blood test are one of the tests that will look for THC instead of THC-COOH. This is because the THC is immediately detected in the bloodstream. This was first observed in a 1992 study that showed THC levels to peak just 9 minutes after the participants smoked. This study showed a maximum detection of 6-27 hours, but was done with people who were not frequent marijuana smokers and they administered low THC level (3.55%) cannabis. If you’re a moderate user of cannabis, you can expect to be not be negative for 1-3 days after each use. And, according to NORML if you’re using cannabis on a regular basis, you can expect a window between 2-7 days. This average is derived from their own meta-analysis of drug test detection times for marijuana. A 2013 study on chronic daily cannabis smokers showed that only 1 of 11 participants were THC negative after 26 days. And one even remained positive for THC-COOH after 33 days. Since it was done with self-reported users, we have no idea of the quality or quantity that they smoked. But, we can assume that the THC levels were much higher than the cannabis from studies done in the 90's. The THC blood levels can also be measured in a couple of different methods. Most commonly you’ll see blood being tested using the concentration in whole blood. This is what’s used by most law enforcement labs. But some labs test instead use the concentration in blood serum or plasma to determine the results. When researching for this article I couldn't find any studies that tested the two methods side by side. But, over all the data say that you should have a few weeks before you'll be negative. First, let’s talk a little bit about what a hair test is. The testing tech will remove a small portion of your hair very close to the scalp. They'll only be using the first 1.5", however. Since they cut it off at 1.5”, you’re almost locking in the detection window at 90 days. The range is 90 days because your hair only grows on average .5" per month. Of course, this can vary from person to person. So, if your hair grows fast you might have a shorter window, while slower growth could potentially widen the window. These are incredibly accurate too. Just one picogram per milligram of THC to get a positive result. If it's there, they will find it. In theory, if they were to take a longer piece they could potentially go back years. For instance, in 2004 the Journal Forensic Science International published a study where they detected opiates in the Victorian poet John Keats 167 years after his death. While this isn't THC, it shows you the frightening capability of the follicle analysis. And, according to Quest Diagnostics, the amount of time it takes for cannabis to reach for hair follicles is 5-10 days. This makes it the slowest of any method to show any trace of THC. But once it gets there, it’s almost impossible to beat. There are creams, sprays and shampoos out there that all claim to clean your hair, but I wouldn't bet my job on them. They can also take hair from anywhere too. So if you think you’ll shave your head to force a different test or wait it out, you’re going to be disappointed. They’ll be able to take hair from anywhere on your body, and, according to Health Street, body hair may have an even larger window (180-360 days). But, they didn’t provide any sources so it seems it may be based on anecdotal information. How Long Does Cannabis Stay in Your System if You Smoke Once? So, we’ve talked about what you can expect if you’ve been consuming cannabis on at least a regular basis. But what happens if we just have one slip up? You know... You only hit that joint passed to you at the concert last weekend a couple of times. How long will weed stay in your system then? Thankfully, there's a lot of studies that tell us just that. In 2001 a study published in the Journal of Analytical Toxicology found that after being given a single dose of marijuana the participants showed the window to be between 26-58 hours. Believe it or not, cannabis did not show up for 4-6 hours. So, if you only smoked hours before your urine test, you could be perfectly fine. Other studies have shown this time window to be much larger, though. Like this one that has the window at 2-4 days after smoking just "one marijuana cigarette." If you're testing periodically on a set schedule, and you smoke once, a few days will most likely be a sufficient amount of time. But, if you know exactly when you'll be tested, you should try and keep it at least a week out for good measure. There hasn’t been a recent enough study with THC levels anywhere near the levels we are at currently to get a for sure answer. Old studies with low THC levels, however, found 6-27 hours to be the window that THC shows up. And this old one showed the mean peak time for THC COOH was 113 min. Your body metabolizes the THC in your blood rather quickly, which is why the detection is so low. And remember, the study in 1992 that had people hooked up to a continuous withdrawal pump showed detection rates in as little as 9 minutes. Cannabinoids take awhile to go from your blood into your hair follicles. But they can also be brought to your hair through sweat. WIth hair, the typical initial detection times are 5 to 10 days. If you take a little bit of cannabis orally (read: edibles), it might not show up at all! A regular hair test will pick up even if you just smoked once for the full 90 days. Saliva is one of the quickest ways to show up positive. It makes sense when you think about how the THC filled smoked first enters your body through your mouth. It doesn’t last long, though. Exactly how far back does a mouth swab drug test go? The study we mentioned earlier when talking about urine sampling compared to oral fluid samples concluded that, while oral samples were a better way to test for recent marijuana use, they only showed positive for up to 34 hours. How Long do Edibles Stay in Your System for a Drug Test? 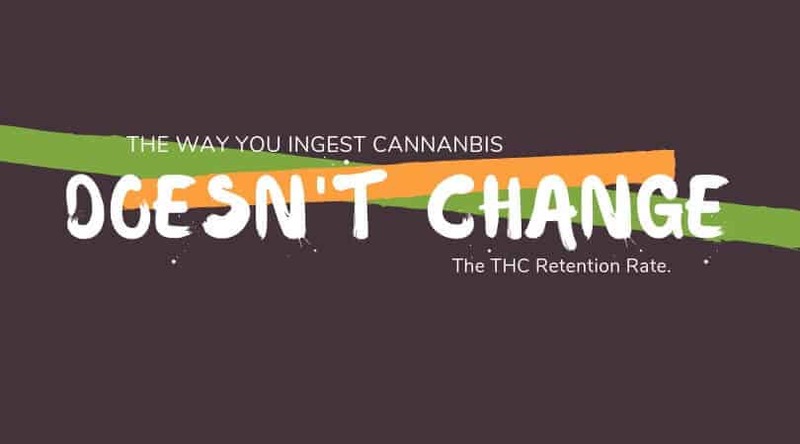 Does your ingestion method affect your THC retention rate? Because no matter how you consume cannabis, the THC find its way into your bloodstream. The THC will metabolize, and you will be left with THC-COOH that will linger in your fat cells. Now, just like if you’ve only smoked once, you can expect a shorter period of detection if you just let loose one weekend and ate that brownie your coworker gave you. Will I Test Positive for CBD? A lot of us use CBD products for pain or anxiety. Will this show up on your test, or do you have nothing to worry about? Most urine tests aren't going to test for CBD—after all, it's legal. The problem is that CBD and hemp oils are going to have trace amounts of THC in them. Now, unless you're drowning yourself with hemp lotion every day, you shouldn't have anything to worry about. And, if it did fail the first round of testing, it will be considered a false-positive because this level of THC wouldn’t show up on the more sensitive confirmation test. 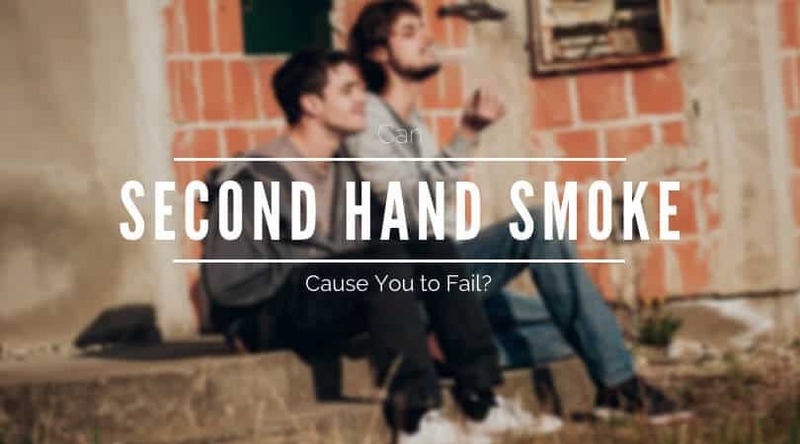 Did you know that even if you've been working hard not to smoke so you can get that life changing job, you can still fail a drug test if you've been hanging out with people while they smoke? In 2015, Drug Alcohol Depend ran a study that exposed people to cannabis smoke in both unvented and vented rooms. What they found was that in the unvented room people not only felt the effects of the cannanbis but also failed at both the 20 and 50 ng/ml cutoffs. So, if you have a big test coming up, avoid hanging out with your friends while they’re smoking. Even in the ventilated rooms, subjects had an increase of cannabinoids in their blood, but not enough to fail a test. What if I told you I could make you pass any drug test, and you just had to pay me $49.99? The only effective way you can get cannabis out of your system is going to be to flush your body of it. And you don’t want to try any trick the test by flushing your system the day before a test. Too much water will dilute the sample, and you’ll have to retake the test or worse—they might just fail you. You do want to hydrate before you go in properly, though! 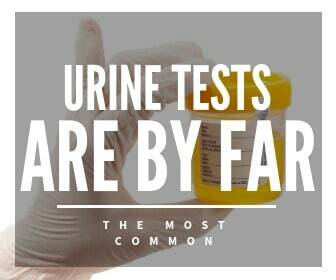 Concentrated urine has a larger chance of testing positive. Well, there is one way you can speed up the detox process. You remember where THC-COOH stays in your body? Working up a sweat, and burning some fat will eliminate some of the cannabinoids that are being stored. Generally, the more fat there is, the more tissue there is for the THC metabolites to be stored in. But the best way to pass a marijuana test is waiting it out. If you know when your test is, plan ahead and just don’t smoke. You just need to know the length of time you'll have before you test. Try CBD if you use cannabis medicinally, and if you use for recreational purposes, please don’t try and substitute spice for cannabis. Only good things can come from your passing your test. Check this out if you want to find out more ways to pass your drug test. You also need to factor in the type of test you’re taking, and, of course, what they’re testing for. If you want to pass your test, the best detox is going to be time, hydrating and some exercise. Have you ever taken a test for marijuana? We’d love to hear your experience with how you flush your system, and how long it took you to get clean. If you have, let us know about it in the comments section below!